Rocks have histories and their histories tell us stories. This was the underlying theme of Aspect’s recent seminar on central Washington geology, led by esteemed experts Dr. Kathy Troost, LG, of Troost Geosciences and the University of Washington and Dr. Eric Cheney, Geology Professor Emeritus at UW. While topography alone makes clear the relevance of geology to the eastern Washington landscape, less sure is how the regional setting impacts the realm of projects—those distinct points on and below the ground where Aspect’s earth science and engineering work enters in. 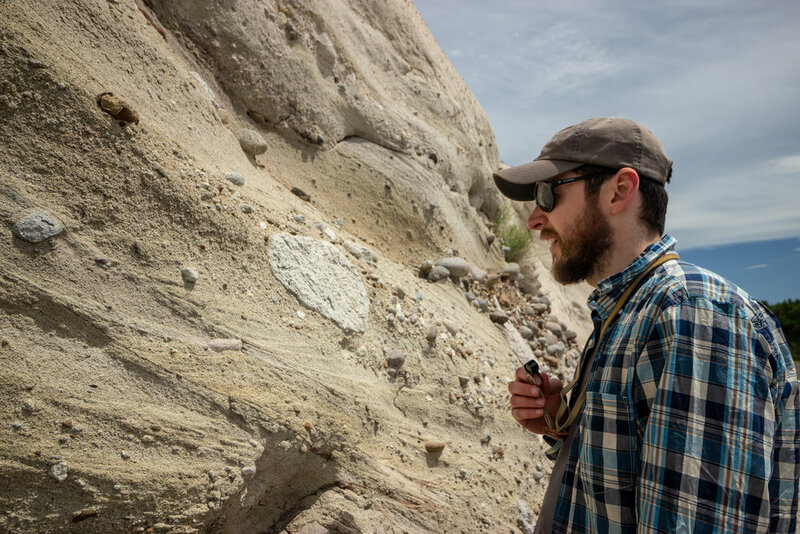 Over two days in June, staff from across Aspect’s offices came together to learn about big-picture geology and earth processes related to 66 million years of local history, and then travel to the outcrops to see the deposits firsthand. Woven throughout were the contributions of each person’s unique experiences with geology and relevant insights from nearby project sites. Together, the balance provided each of us the tools to make sense of an otherwise complex landscape; a way to break it down into manageable pieces, put it back together, and learn what it has to tell.